This class builds on beginning ballet steps. It teaches basic steps, vocabulary, and technique and will allow you to gain a good understanding of basic ballet.Barre and center work include various routines designed to increase strength, mobility, and correct placement. This is the perfect class for your first months (up to a year) of ballet training. Some previous ballet experience needed. If you have never danced before we recommend our Introduction Course. Ballet shoes and appropriate dance wear required. 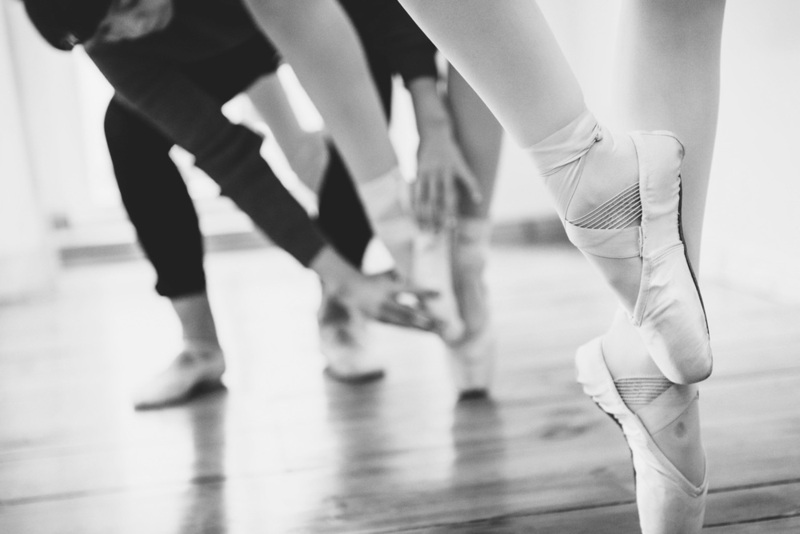 A beginning-level classical ballet class suitable for those with previous experience in ballet. As we move forward with our technique in Beginners 2, we are able to utilize our knowledge through choreography and variations. To join this class you should be familiar with the following steps: all 5 positions (both arms and legs), demi plié, grand plié, relevé, rond de jambe, grande battement, développé, sous-su, pas du bourrée. Join a friendly, non-competitive ballet class that will help you improve your technique and build up strength. Previous ballet experience, ballet shoes and appropriate dance wear required. This class is a full 90 minute intermediate ballet class designed for those with several years of ballet experience. Exercises and combinations are longer, faster and more complicated. Having a deeper understanding of ballet technique in intermediate, we are now able to utilize what we have learned through choreography and variations. To join this class you should be familiar with the following steps: frappé, rond de jambe en l'air, changement and échappé, pirouette en dehors, pique turns, tombé, glissade and grand jeté. Join a friendly, non-competitive ballet class that will help you improve your technique and build up strength. Several years of previous ballet experience, ballet shoes and appropriate dance wear required. This class is a class designed to strengthen feet and ankles, balance, and gain comfort doing regular exercises en pointe. The class is recommended for students who have reached an intermediate level or for those returning to ballet after a break. We teach at a mixed level and give alternatives to exercises to suite the individual levels of the students. Pointe shoes and appropriate dance wear are required. To avoid disappointment and help us plan our classes we kindly ask you to signing up for your class in our Live Schedule. Your registration helps us contact you if the class is moved or (in very rare cases) needs to be canceled.